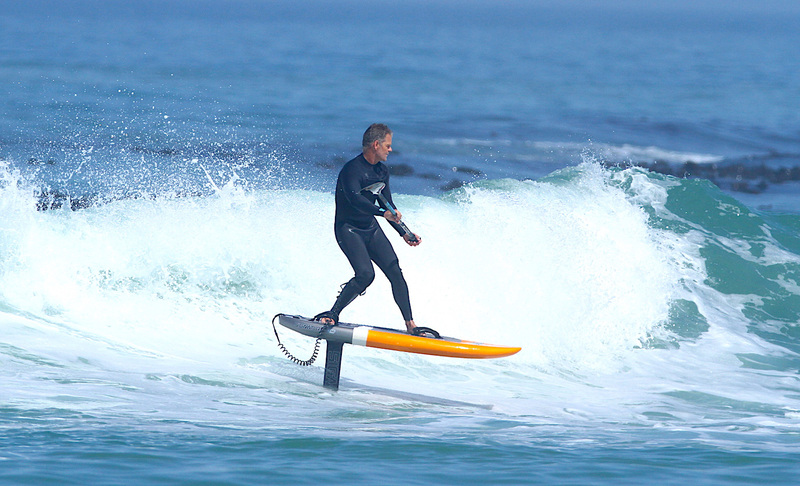 Starting on the top deck, one of the cool features that we really enjoy, especially when catching a wave, is the concave top deck- this concave deck helps the rider have a lower center of gravity when foiling and also feels great when riding as there is a contour to push against, allowing added stability and improved foot control. These beveled rails go right from the nose to the back tail- the concept behind the beveled rails is that it helps prevent the board catching or touching down especially when turning rail to rail on a foil. As we move towards the back of the board you’ll see that we modified the tail to include a tail kick – what this will do is assist with better pumping and also prevents the tail from touching down when pumping or coming off the foam. 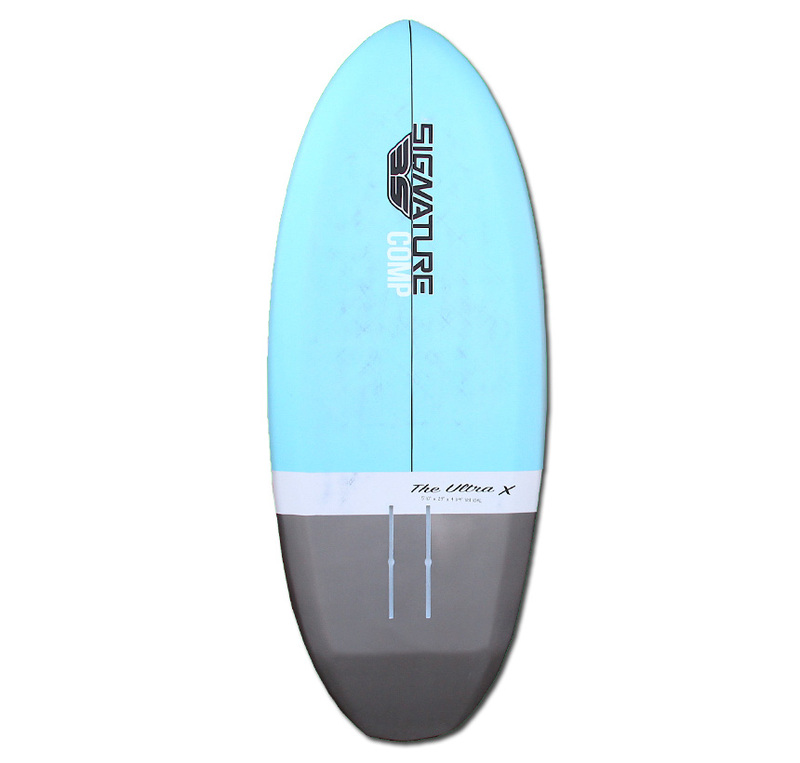 At the front you’ll see just the right amount of nose kick to prevent nose diving + a deep single concave running all the way from nose to tail allows easy lift and quick planing, especially on small waves. The Ultra X comes in an assortment of sizes ranging from a 5’0 for lighter riders all the way to an 8ft for beginners or heavier riders. Once again the ULTRA~X is a designated performance SUP foil board so we have the universal dual mount, Signature TWIN-TRAX US box system .